LendAnEar Outreach is on Amazon Smile! To provide the gift of hearing by furnishing quality hearing aids to those with limited or no means, in an atmosphere of dignity and compassion. "I knew I needed hearing aids when I had met up with some old friends at the airport. Everyone was chatting, reliving past memories, and catching up with one another and I couldn't hear half of what was being said. Such experiences are priceless and I knew I needed to do something about it at this point. Since getting properly fitted hearing aids I have made many new discoveries. I never realized my cell phone makes noises when I tap it, that my dishwasher beeps when turned on, and now I hear my cat meowing at me when it is hungry! Perhaps most importantly I am able to hear cars and movement around me when on my bike or a walk. I am still making new hearing discoveries every day! We are excited to announce our annual Gala for 2018 with the theme of a Masquerade Ball. The event will take place at the fabulous 3 Palms Grille. There will be door prizes, a wine toss, dinner and more! For more information, click here! Lend An Ear Outreach has been the focus of an article by the Ponte Vedra Recorder entitled “Lend an Ear Outreach donates hearing aids to deaf and hard of hearing students in St. Johns County”. Read it HERE! The Gift Of Hearing should be available to everyone in need. Filling the need to acquire a hearing aid despite someone’s means is the philosophy of Lend An Ear Outreach. We strive to help people of all ages reconnect with their community and loved ones through the gift of hearing. We exist to give all people with limited means, the ability to obtain a hearing aid. Our Mission, in part, is to promote personal safety for children and adults by providing education pertaining to hearing loss and its ramifications. Purchase with purpose. 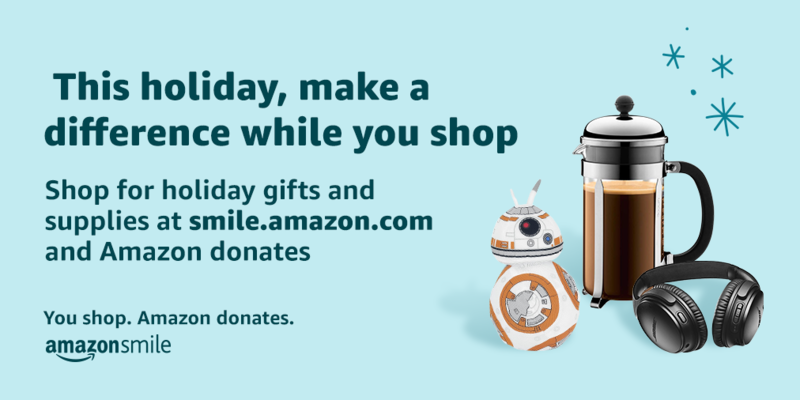 Amazon donates to LendAnEar Outreach when you shop for back to school supplies HERE.